Are you looking for an easy appetizer to take to that holiday function? This little beauty is the perfect guest—beautiful yet unassuming, unique yet dazzlingly different. I wish I could take credit for the idea. My life has been suddenly surprised by an onslaught of potlucks, and this delicious vegetable pancake will be a welcomed relief to the sweet baked goods I typically tote. You should also bring this along with you to your next gathering! I promise that you will be asked to come back. 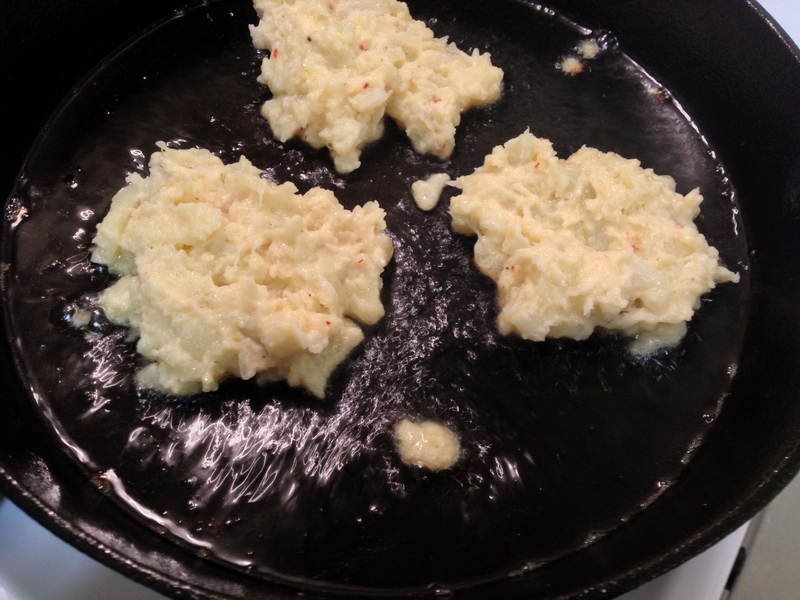 Boil the cauliflower for about 7 minutes or until a fork easily pierces the pieces. 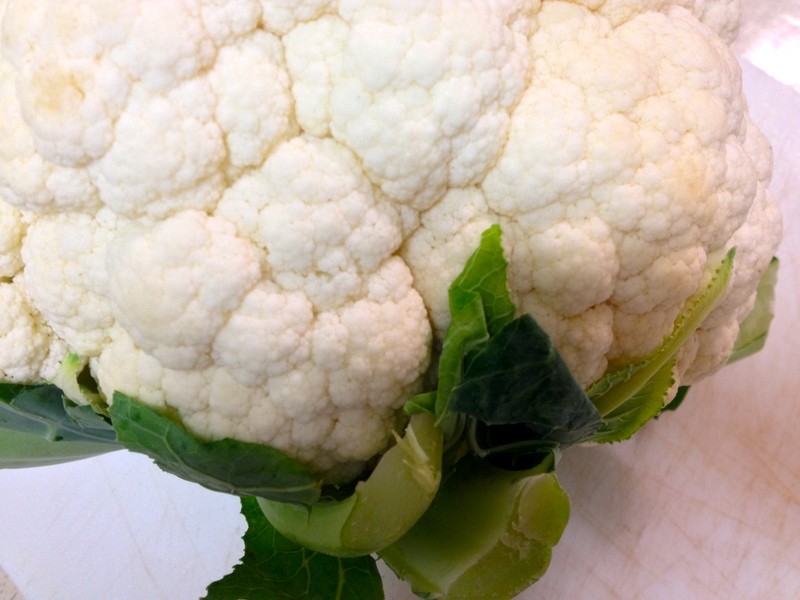 Drain and rinse with cold water to stop the cauliflower from cooking. Combine the egg, garlic, onion, lemon and zest in a medium bowl. Add the cooked cauliflower to the bowl; mash with a potato masher or a sturdy fork. Some large-ish pieces may be present, but most of them will easily break down. Sprinkle the flour, baking powder and grated parmesan over the mixture, stir briefly to combine. Preheat the oven to 200F. Place a baking sheet inside the oven. Heat a small amount of olive oil (2-4 Tbsp) in the bottom of a skillet. Add a large spoonful of the batter to the oil and allow it to cook until the bottom is crispy and golden brown- about 7 minutes. Flip that guy over and cook for an additional 3-5 minutes or until that side is golden brown too. Place the fried fritters on the sheet in the oven until ready to serve. 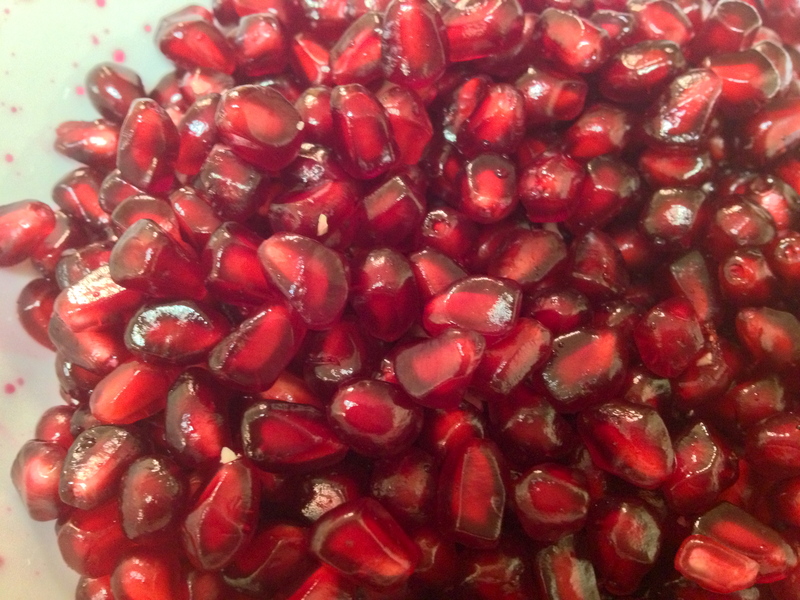 Combine the yogurt, cumin and salt in a small bowl. 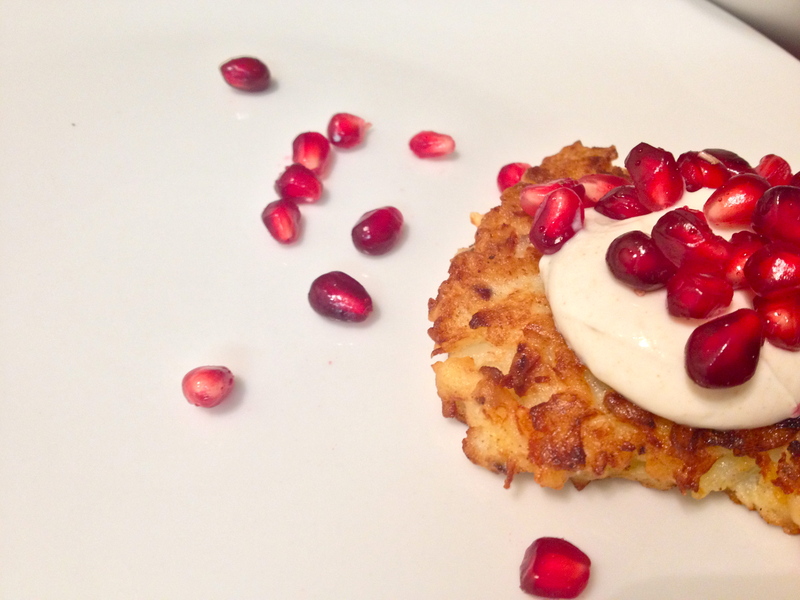 Serve the fritters with the yogurt and sprinkle with pomegranate seeds. Take a picture—It’s pretty. And enjoy!